When I received the notice from Soiffer Haskin regarding an upcoming Ralph Lauren Home sample sale, I admittedly let it pass without much thought. I vaguely remembered on Saturday morning that it was this weekend, and decided that I was in need of some sheets and perhaps a new duvet, so I went searching through the interwebs for the usual information on location and hours and whatnot. 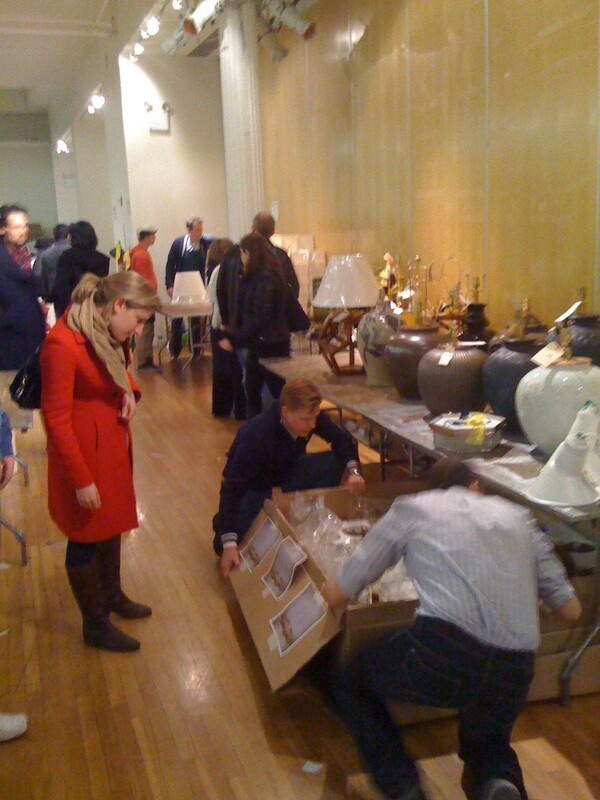 I was not prepared to find out that this was not your regular white sale — this was the sale, the sale that used to only be open to Ralph Lauren employees, the sale where Ralph Lauren Creative Services opens up their ridiculous store of vintage treasures to the public, the sale you must attend if you’ve ever dreamed of living in that gorgeous mansion up on Madison Avenue, like me. Hello, Lover. Image via NYT. I realized I was already a day behind the fanatics, but I had luckily woken up early enough to be there for the opening of the second day. As I read stories online of people leaving the warehouse with huge bags full of amazing things — yesterday — and that a substantial line waited patiently for their turn to enter while toughing out the torrential downpour that hit NYC on Friday, I realized it was time to rally. I got there just after the doors opened and I made a full loop before committing to anything. I avoided the remaining home collection wares — I can only imagine there had to have been more on Friday — and focused on the antiques and vintage areas. Speed was definitely the way to go, as things were being snapped up left and right. Prices were very reasonable (and I heard that they dropped even further on Sunday), which added to the frenzy. Frequently when I would return to an area, things were gone in a matter of minutes. She who hesitated was definitely lost. 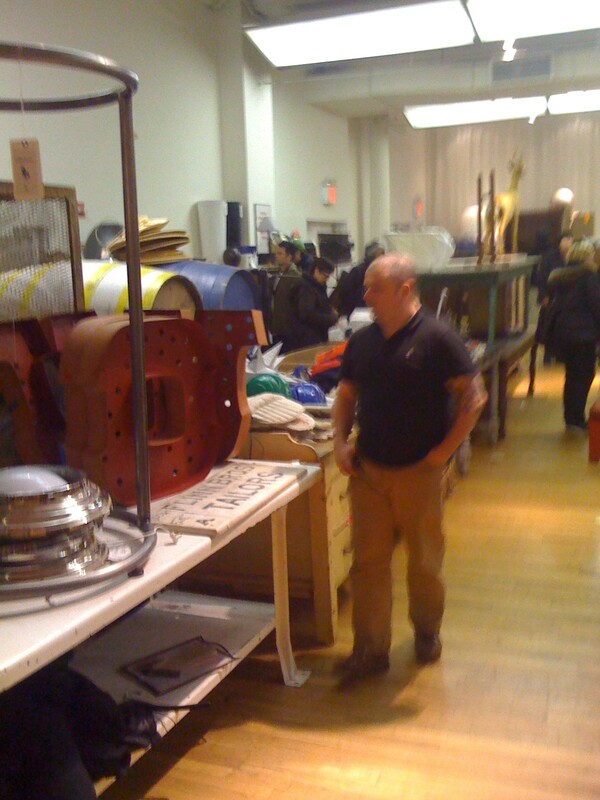 There were also quite a few large items, which posed a potential transportation problem for me, so I had to avoid them. This was the first year there was a courier service available onsite, but one of the RL workers actually told me to avoid them at all costs, and she was right — their rates were outrageous. 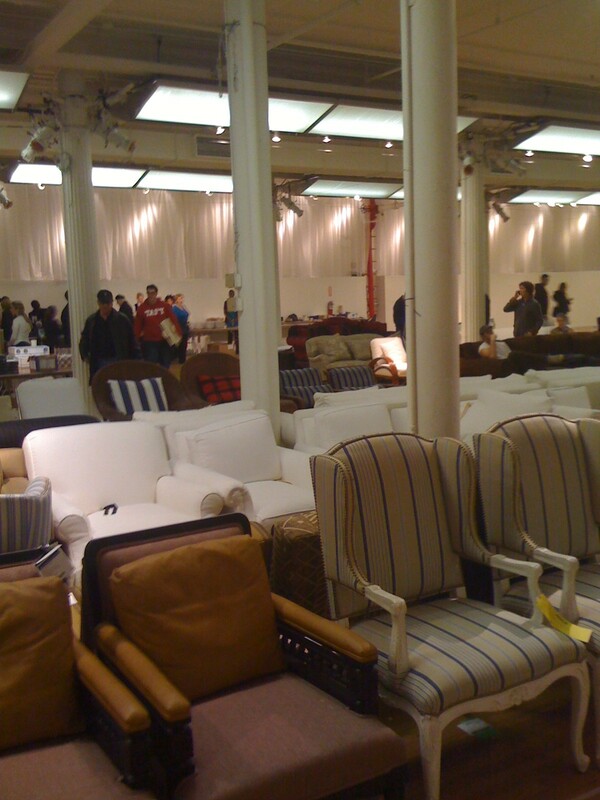 For next year’s sale, bring a partner or two, get a Zipcar, or have a plan to get yourself and your stuff into a cab. The antique area was full of barrels, signs, sporting equipment, knick-knackery, and the like. That marble tailors sign almost came home with me, but it was too heavy. This area was already picked pretty clean by the end of the first day, but I did manage a few finds. However, in the courier’s area, I saw already-sold vintage bicycles, rugs and club chairs being packaged to be sent out. Curses! More lamps than you could shake a stick at. 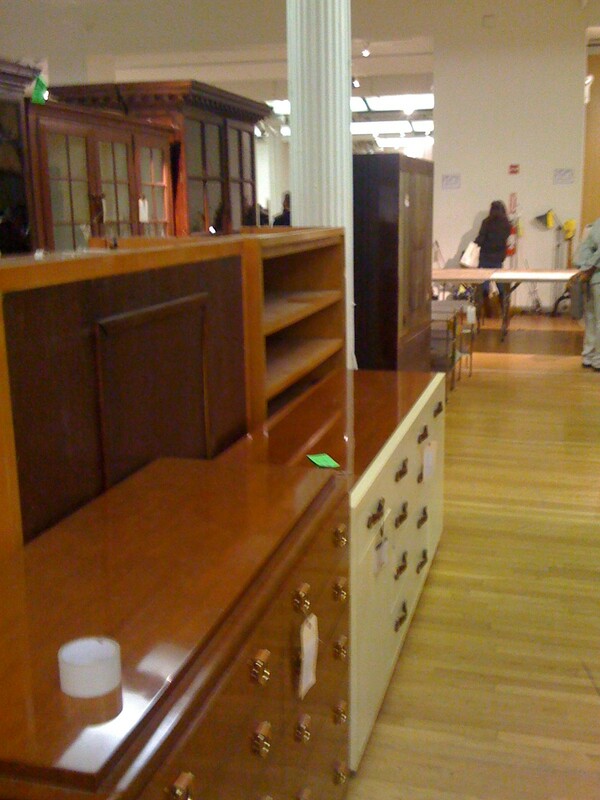 Armoires, beds, tables, desks, benches, oh my! Rows and rows of beautiful chairs. 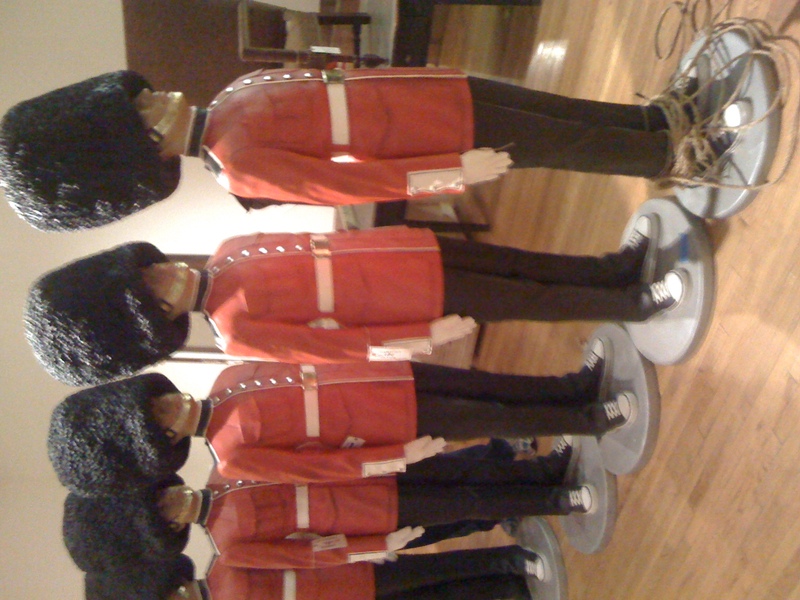 Perhaps you were in need of a life sized British soldier or six? Next year, I am confident that this is the type of event that warrants showing up on opening day and joining the queue. Now I don’t come to this decision lightly. There aren’t many things I would willingly do this for. But seeing what was left over on the second day of this sale assures me that to the queuers, come the spoils. Also, if you aren’t already signed up with Soiffer Haskin, I highly recommend it. Looks like a fun event. Well since you been a valuable source of info. If you happen to come across any events where I may pick up any vintage or antique books at a steal please do share. NY doesn’t have any yard sales like we do back home. Definitely! I will be sure to pass any intel your way. Have you already tried the flea markets in Chelsea and Brooklyn? Good places to start. No I haven’t but thanks for the advice, still learning my way around the city. I’ll be signing up for next year too – I’m looking for two fabulous armchairs just like I could see in one of your pictures, so we’ll be sharing one of these zipcars please! I find sales so hard, I like to take my time when buying, but you’re right when you say “she who hesitates, lost”! Speed is of essence. Great post! Ooh, thank you! So marked! 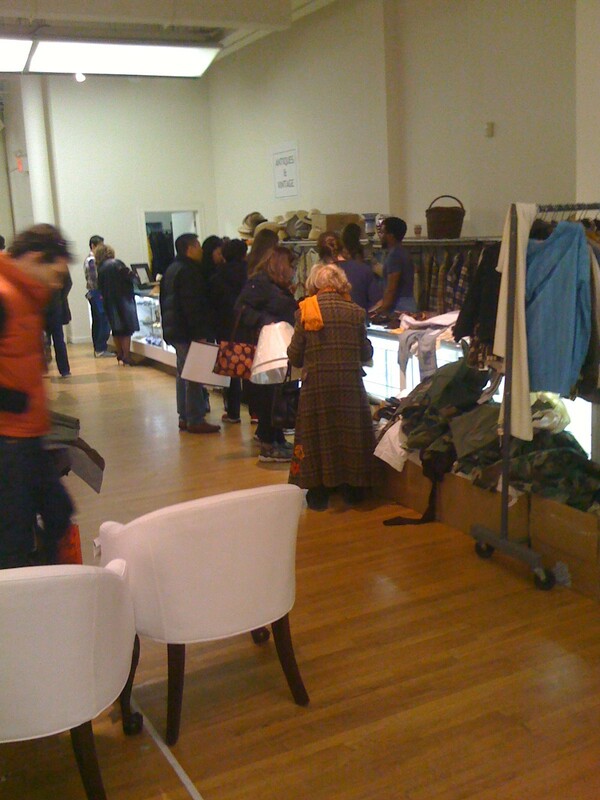 You are currently reading In The Trenches: Ralph Lauren Home Sample Sale at Quite Continental.